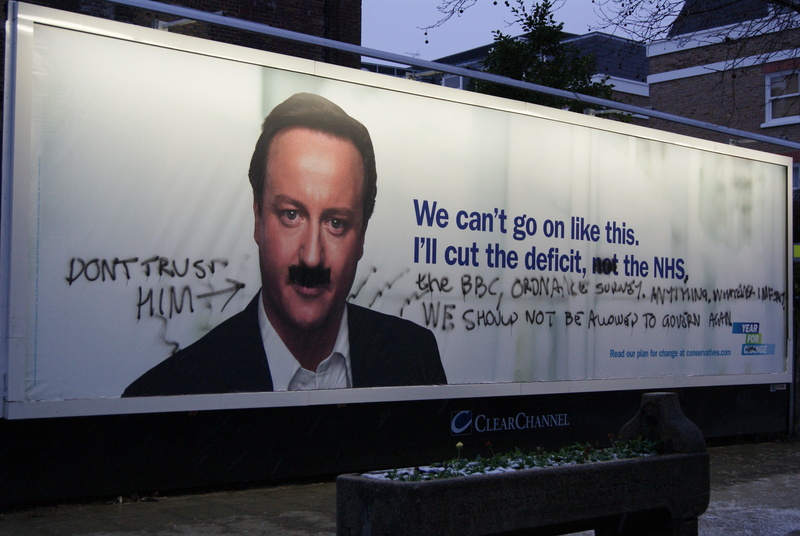 There’s been a huge response on the web to the new Conservative Party poster featuring David Cameron. Ranging from questions around policy, to accusations of air-brushing, to banal graffiti (digital and otherwise). Here’s a selection of the many I’ve come across. Pingback: Faking it: The good, the bad, and the ugly. « Graham.Creative. 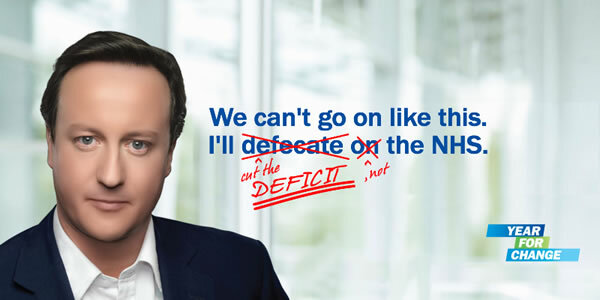 David Cameron has a great, healthy, glowing complexion, he doesn’t need to be air brushed. More importantly, it is what is between his ears that matters, (as Boris Johnson said apropos of another matter). Some jokes about that poster!